Come to Our Fall Celebration! raising money to help accomplish these goals. If you’re interested in any of these things, please join our mailing list. Fun at Crow Island Oaktoberfest! Many “Friends of Crow Island Woods” — both young and old — enjoyed our Oaktoberfest October 15th. 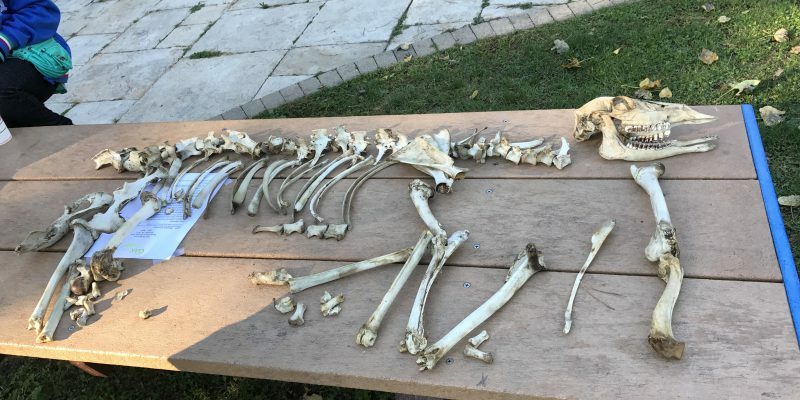 There were tours of the wooded paths with a trained naturalist, family-friendly nature activities, as well as lots of information about oak trees, and the other animals and plants that live in the woods. Many visitors picked up materials from Go Green Winnetka, the Winnetka Parks Foundation, and the Village of Winnetka. 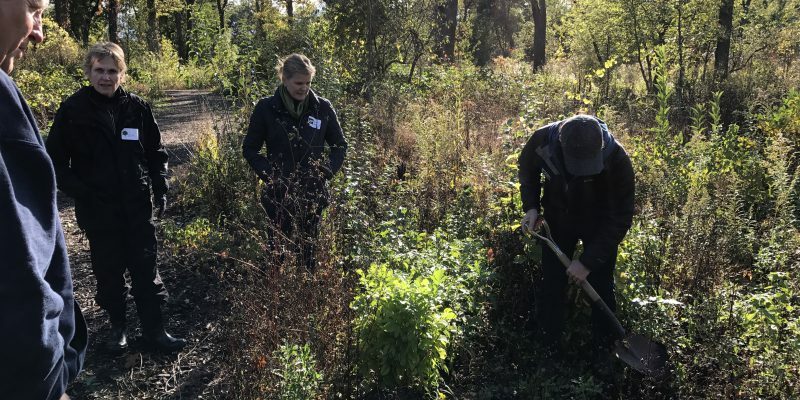 15 attendees went home with an Oak seedling to plant in their own yard, and we planted one in the woods! 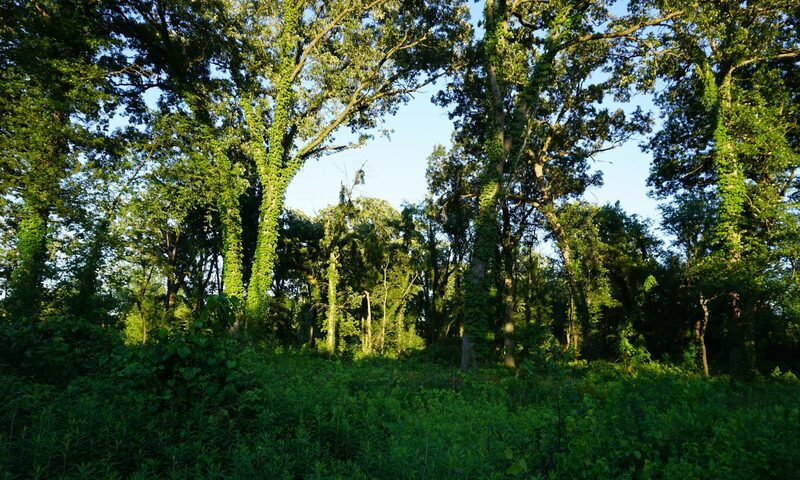 Crow Island Woods is a unique Oak Savanna ecosystem which is the lone remnant of pre-settlement Winnetka. Crow Island is home to about 100 native species of plants plus some non-natives that snuck in along the way. Use our guide to recognize the trees and plants you might see, and learn how animals depend on them. What’s blooming now? See if you can find all of these plants during your visit. Crow Island Woods is lovely and always changing, with something to see in every season. Browse some photos taken during April, May, June, July, August, Fall, and even Winter. Send us your best Crow Island Photos (photos@friendsofcrowislandwoods.org), and we’ll post them here! 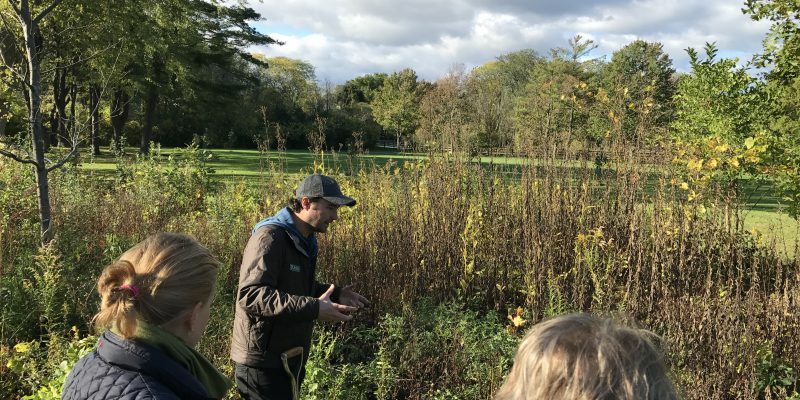 Friends of Crow Island Woods is committed to protecting and maintaining the jewel of the Winnetka Park District.